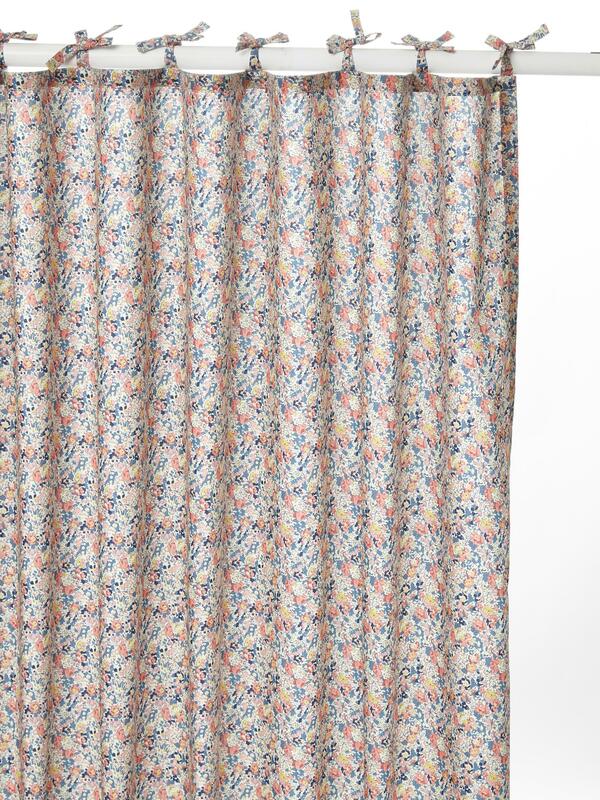 The Liberty fabric is climbing the drapes. An elegant manner of adding softness and warmth to a room that's relatively streamlined or to accentuate the refined atmosphere of an already classic decoration. Ties. Width, 140cm approx. Choice of 2 heights: 180 and 240cm. Machine washable at 40°C. Sold separately. Made in Portugal. Decorating tip: for another style, cut the ties and attach the drapes with claw hooks. You'll get drapes with eyelets.